Why I am calling it quits. 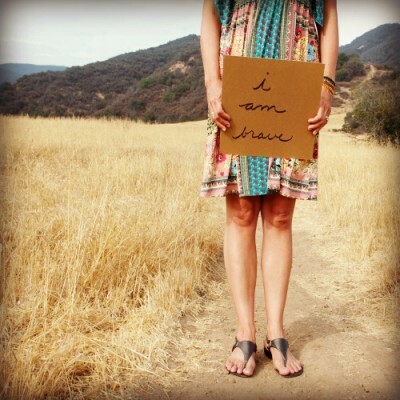 Todayʻs post comes from Live Brave creator and founder, Lesley Glenn. This is not my typical “Live Brave” post, but then again, I never expected to be where I am at today, or to be walking this particular path on my journey. My weekend in Philadelphia, to attend the “Women Living with Metastatic Breast Cancer” the end of April was a game/journey changer for me. As I have only shared with just a few people thus far….I wish I had never gone, and at the same time, I am so thankful I did. I went in thinking, I had processed and was okay with a diagnosis of Stage IV cancer. But after being in a room with over 300 women all on different levels with the disease, (some like me in very early stage IV and ogliometastatic, and then others in much later stages, some pulling oxygen tanks, their end of life here on earth near) I realized, you just don’t process cancer, and move on in the way you may with other events in your life. I came back home, overwhelmed and depressed. My doctor put me back on my anti depressant, and we discussed next steps in my cancer journey. I am looking at possibly more surgery in late summer or early fall. 1. I have not fully come to terms with having cancer. I mean, itʻs only been a year and half since being diagnosed with cancer and one year since being diagnosed stage IV. 2. How I live my life, determines my cancer prognosis. 3. Social media is not good for my health. Then my computer crashed. and I lost EVERYTHING. You would think I spent days in tears, I didn’t. It was almost a sign to start over. I gave my computer to a friend to fix and have yet to pick it up. To be honest, I have not missed itʻs presence in my life. My parents were here for 10 days. My step dad getting up there in age. His health not the same as it was even a year ago. I recognize they are getting older and time spent with them becomes much more precious, especially since I live 2500 miles away. My daughter, Jill, (19) came home for the summer. This was an unexpected change of plans as she was going to stay in Hawaii and go to summer school then work on Kauai. She is home until the end of July and I am so grateful for this time with her. My oldest boy, Jordan (26) is making a huge life change in his career. I am proud of him for going after his dreams and deciding that what he was doing, even though he is very successful at it and makes good money, is not what he wants to do for the rest of his life. We are moving him out of his apartment next week. Then, I have my middle boy, Justin (21) who after a hard two year journey of getting out of a DUI is now working two jobs, going to school, and is doing better than I could have ever imagined. My husband is in the middle of getting his PHD and writing two books. I am starting a job with the city of Long Beach, doing what I have always done best……working with children, and their parents and equipping a staff to be their best selves. This is the stuff I am passionate about. I do this better than leading workshops, speaking and even writing. Everything I have ever overcome or journeyed through, I always thought I had to make it into my ministry field. When I became a Christian in 1985, I thought the only thing to attain to be was to go into full time ministry and be a pastors wife. I turned every negative experience that I was healed from into opportunities to start a ministry, or mentoring or joining a cause; drugs, alcohol, abortion, domestic violence, etc. When Mike and I fought for our marriage, we moved into helping other couples who struggled with infidelity. I have the gift of empowering others, so I took on the burden of making sure everything I put my hand to, I also offered to others who needed or wanted an opportunity to shine. When I was diagnosed with cancer…..I thought I needed to be a good Christian and start a new platform to help others who are also fighting cancer or educating everyone (else) about cancer. I thought it was my job to help others learn to live brave. Phew, that is a lot of pressure for one person isnʻt it? Sounds to me like, “PRIDE.” plain and simple. Jesus was and is a gift with no strings attached. If I spend the rest of my life doing nothing but saying “thank you” it will be enough. I have spent the past 30 years of walking with the Lord with strings attached. No more. My kids and my family are the only legacy that I will leave behind, and they are the ones that matter the most. Most of my Christian walk, I have spent serving others more than serving my own family. No more. Being my true self and embracing my identity and living my own life to its fullest is truly what God wants from each us. Isn’t that what we want for our own kids? So I am calling it quits. To my non profit. To social media. To being a cookie cutter Christian serving someone elseʻs agenda and set of rules and calling it truth, when my own truth and relationship with God is what matters. My truth may not be the same as yours and thats okay. I have never felt more liberated to BE and enter into HIS REST. I am finally understanding this Freedom Jesus came for, and living it out in my life. create art for me and for others because I want to. travel with my husband, kids and parents, and enjoy the beautiful world that God created for me. do the work that I truly love and should never have given up-because that is where I make the most difference. be intentional with relationships and friendships whose lives are not cluttered up by full calendars and no time for anything else. Those who also want to live the simplified life. not join any causes except the ones that I want to. do stuff, I have always wanted to do, and not announce it, or market it. I am just going to DO IT. learn to live with cancer on my own terms. I am deactivating all my social media for a year, keeping only instagram. I am keeping this Live Brave blog but am taking down the unnecessary parts of it and the things I am no longer about doing and don’t want to do. In this next season of my life. I am going to blog the way I did back in 2004-2008 . My way. The Live Brave, Not Broken mantra is my personal theme. I am letting the Live Brave Team of Artists, Poets and Writers go as of June 1st. So many of you have blessed my life through this blog, followed me from Miraculous Life, and have been my friends for years on Facebook. I will always be grateful for each of you. I finally get the whole “Live Brave” thing. I am pretty sure I just wrote my “bravest” post ever. Wow – good for you! I must say, that’s probably the BRAVEST post ever. Congrats, and best wishes on your continuing journey. Thanks to you and all the writers here Lesley. May God bless you richly as you continue to LIVE BRAVE. I so appreciate the extra wisdom in your words today. Hello Lesley. . .God bless you as you move forward. I was reading Hebrews last week, and you know how it goes. . .how the Word of the Lord just hits you between the eyeballs and slays us. Hebrews 2:13 has a simple line that (refers to Isaiah 8:18), “Here am I and the children whom God has given Me.” Our lives become significantly simple in Him. . .I just want to encourage you in Christ. . .He will have His way with your entire life. I look forward to continuing our journey of friendship in this life and eternal life. . .and I thank you for your generosity & openness all these years, that was truly living brave. I love the way you charge everywhere you go (you were not like me stuck in crevices, haha). Remember I nicknamed you the Go-Go girl? It’s part of the whole beautiful story of who you are. God bless you and each of your family. . .I hate not seeing your faces in the neighborhood. Lorin is looking for property in Oregon and elsewhere. . .I am yet to be on board with the change, I am entering the empty nest & it’s strange to me. . .Noah is rehabbing from his torn labrum, playing only one JV game this season & looking to finding good out of his situation. He returns to the field in August. Luke is still in his pakalolo stage & graduating, he’s searching & I am praying. And Frank too, working two jobs now, at Sam’s and a small organic foods company in Rancho. The kids, yours & mine, so wonderfully beautiful it makes me cry. Praying for salvation here at the Rozatti home. Oh my dear Maui kindred spirit. I miss you. We shall be intentional in our relationship. Time is a priceless gift. Let us make the most of it. BRAVO, my dear sweet friend 🙂 Living Brave is not always easy, but it’s the best. it ain`t over till its over…till then live life to its fullest! You hang in there mighty Trojan! Hey Jerome. You got that right. We.Are.Trojans. I am in tears, with this overwhelming feeling of love and admiration for you. Brave doesn’t even begin to describe what you have written, and what you are doing. It’s full of some very deep things I need to look at within myself. ….and I just want to hug you. and that is all. I know this voice. I know this process. …and I just want to hug you. and that is all. Thank you Sherry. I welcome your hug and hug you back. Xoxo.